Berry, Philip; Lewis, Janice; Williams, Cara (1990). "32: East African Highlands". In Turner, B.L. The Earth as Transformed by Human Action: Global and Regional Changes in the Biosphere Over the Past 300 Years (Illustrated, Reprint ed.). Cambridge: Cambridge University Press. ISBN 978-0-521-36357-0. Briggs, Jimmy (August 2004). 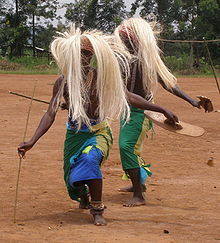 "A dance of hope in Rwanda". Dance Magazine. New York, N.Y. Retrieved 28 June 2015 – via Questia Online Library. (Subscription required (help)). McCracken, Kathryn; Colucci, Emma (2014). "Using sport and play to achieve educational objectives" (PDF). In Dudfield, Oliver. Strengthening Sport for Development and Peace: National Policies and Strategies. London: Commonwealth Secretariat. ISBN 978-1-84859-912-3. Ndengeye, Joseph (2014). 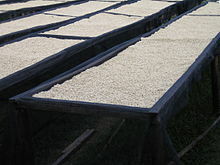 "Country Report: Rwanda". In Keim, Marion; de Coning, Christo. Sport and Development Policy in Africa: Results of a Collaborative Study of Selected Country Cases. Stellenbosch: SUN Press. ISBN 978-1-920689-40-7. Juvénal Habyarimana ) was the 2nd President of Rwanda, serving longer than any other president to date, from 1973 until 1994. He was nicknamed "Kinani", a Kinyarwanda word meaning "invincible". 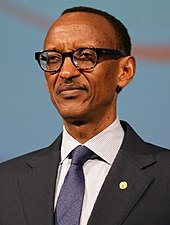 Paul Kagame is a Rwandan politician and former military leader. He is currently the President of Rwanda, having taken office in 2000 when his predecessor, Pasteur Bizimungu, resigned. Kagame previously commanded the rebel force that ended the 1994 Rwandan genocide. 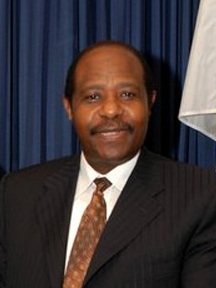 He was considered Rwanda's de facto leader when he served as Vice President and Minister of Defence from 1994 to 2000. He was re-elected in August 2017 with an official result of nearly 99% in an election criticized for numerous irregularities. He has been described as the "most impressive" and "among the most repressive" African leaders. 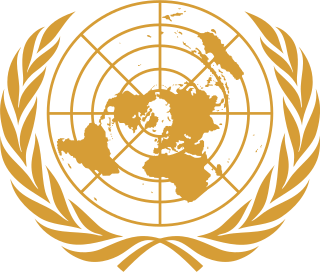 The United Nations Assistance Mission for Rwanda (UNAMIR) was established by United Nations Security Council Resolution 872 on 5 October 1993. 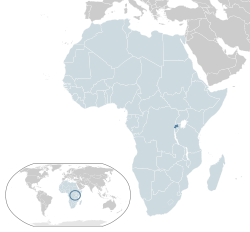 It was intended to assist in the implementation of the Arusha Accords, signed on 4 August 1993, which was meant to end the Rwandan Civil War. The mission lasted from October 1993 to March 1996. Its activities were meant to aid the peace process between the Hutu-dominated Rwandese government and the Tutsi-dominated rebel Rwandan Patriotic Front (RPF). 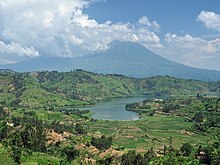 The UNAMIR has received much attention for its role in failing, due to the limitations of its rules of engagement, to prevent the Rwandan genocide and outbreak of fighting. Its mandate extended past the RPF overthrow of the government and into the Great Lakes refugee crisis. The mission is thus regarded as a major failure. 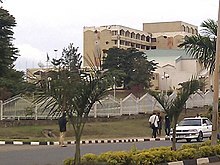 The Rwandan Patriotic Front is the ruling political party in Rwanda. Led by President Paul Kagame, the party has governed the country since its armed wing ended the Rwandan genocide in 1994. 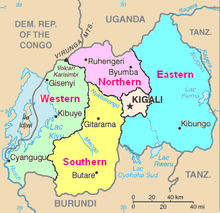 "Rwanda Nziza" has been the national anthem of Rwanda since January 1, 2002. It replaced "Rwanda Rwacu", which had been the national anthem since 1962. Paul Rusesabagina is a Rwandan humanitarian who, while working as a house manager at the Hôtel des Mille Collines in Kigali, hid and protected 1,200 Hutu and Tutsi refugees from the Interahamwe militia during the Rwandan genocide. None of those refugees were hurt or killed during the attacks. 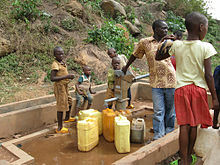 The Great Lakes refugee crisis is the common name for the situation beginning with the exodus in April 1994 of over two million Rwandans to neighboring countries of the Great Lakes region of Africa in the aftermath of the Rwandan genocide. 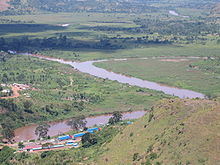 Many of the refugees were Hutu ethnics fleeing the predominantly Tutsi Rwandan Patriotic Front (RPF), which had gained control of the country at the end of the genocide. However, the humanitarian relief effort was vastly compromised by the presence among the refugees of many of the Interahamwe and government officials who carried out the genocide, who used the refugee camps as bases to launch attacks against the new government led by Paul Kagame. The camps in Zaire became particularly politicized and militarized. The knowledge that humanitarian aid was being diverted to further the aims of the genocidaires led many humanitarian organizations to withdraw their assistance. The conflict escalated until the start of the First Congo War in 1996, when RPF-supported rebels invaded Zaire and sought to repatriate the refugees. Fred Gisa Rwigyema was a Rwandan politician and military officer. He was the founder of the Rwandan Patriotic Front (RPF), a political and military force formed by Rwandan Tutsi exile descendants of those forced to leave the country after the 1959 Hutu Revolution. The Amahoro Stadium, also known as Amahoro National Stadium, is a multi-purpose stadium in the Gasabo district of Kigali, Rwanda. 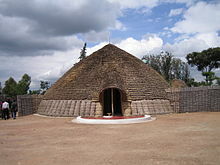 With a capacity of 30,000, it is the largest stadium in Rwanda and hosts football matches, concerts, and public events. The football clubs Armée Patriotique Rwandaise F.C. and Rayon Sports F.C. are the tenants. The venue is also sometimes used for rugby union. Human rights in Rwanda have been violated on a grand scale. 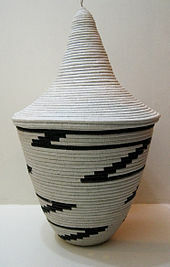 The greatest violation is the Rwandan genocide of Tutsi in 1994. 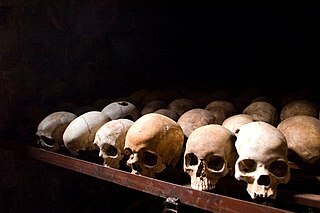 The post-genocide government is also responsible for grave violations of human rights.